Chock the front wheels, jack the rear of the car and prop it at the chassis jack points, leaving plenty of room around the suspension and drive components. Open the engine cover and remove the two side panels in order to expose the suspension mount points. Remove the rubber caps to reveal the shock top nut. Using a suitable drive gently loosen the top nut a quarter turn. DO NOT attempt to remove it. 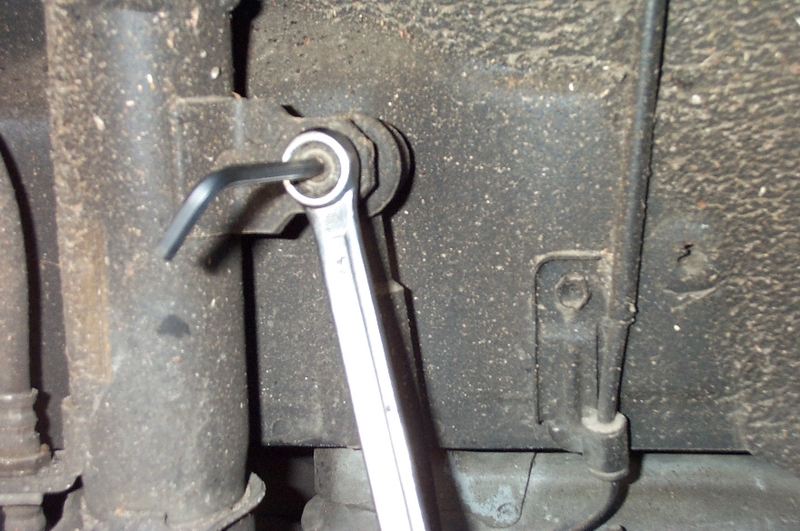 Using an Allen key and spanner remove the anti-roll bar securing nut from the shock absorber and disengage the ball joint. 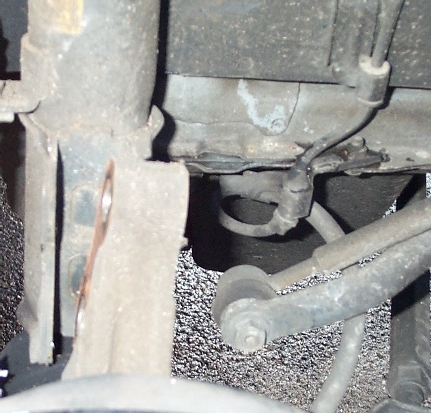 With pliers remove the retaining clip from the underside of the flexi brake line where it passes through the shock. Having cleaned the surrounding area, undo the brake hose union on the calliper, being careful to clean up any spilled fluid. Temporarily replace the copper bolt into the calliper to stop dirt getting in, and withdraw the brake line through shock mount and secure the line, preferably with a drip jar. Remove the two heavy bolts connecting the shock to the hub and free the mount by moving the hub down and away. Under the engine cover remove the three top mount retaining nuts to free the shock. Carefully withdraw shock from the car, being careful no to damage the rubber drive boot it sits above. 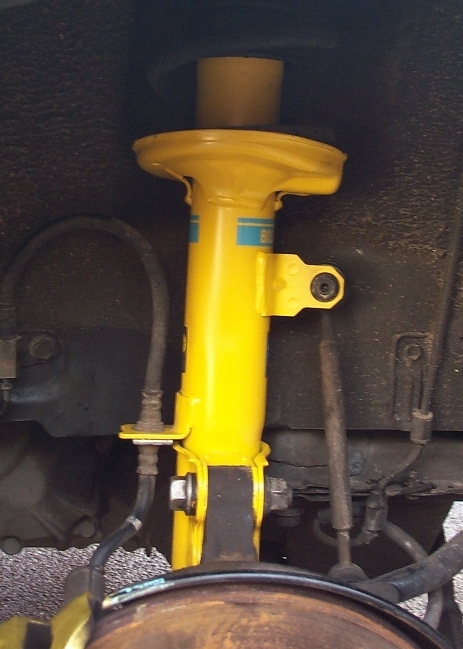 With the shock on the bench/ground apply spring compressors and gently screw them in. You only need enough to slacken it off the top mount. 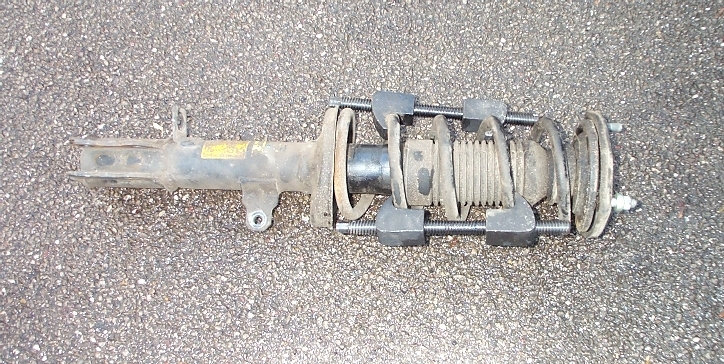 Remove the nut at the top of the shock strut (having loosened it previously). 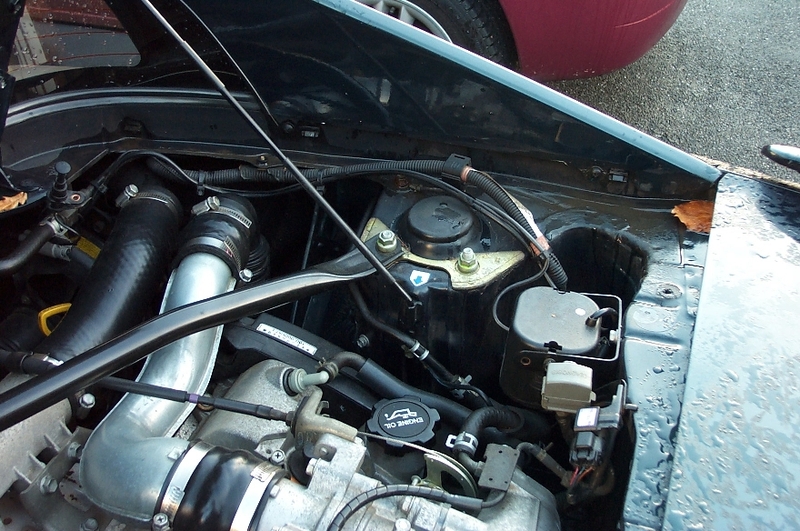 Strip off the top mount, spring, and remove the gaiter from the old strut. Transfer these over to the relevant new shock; making sure the spring is seated correctly on the bottom cup. Replace the top nut and tighten as best you can. NOTE – The original top nut is a 19mm, but on the replacements Bilsteins I received they had been bulked up to a 22mm fitting. You might want to check you’ve got a suitable socket before you start. 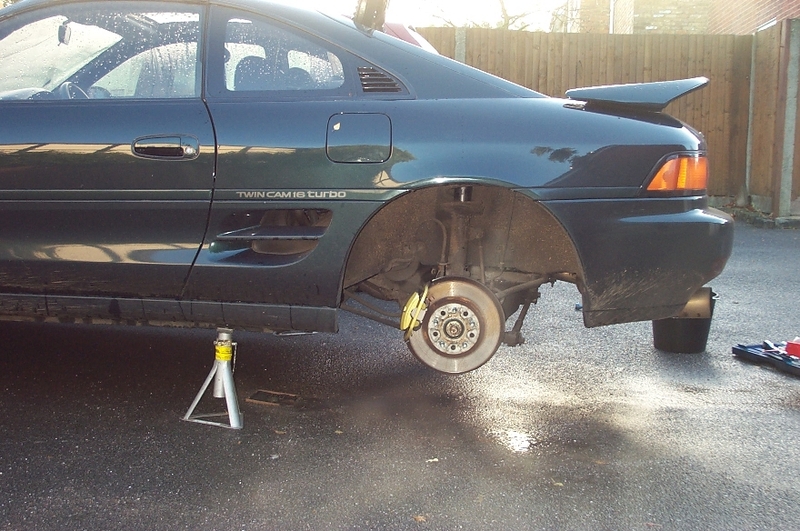 Making sure the top mount is rotated into its original position, carefully remove the spring compressors. Refitting is basically the reverse of removal, not forgetting to do a final tighten on the top nut once the shock is back in the car, and (of course) having bled the brakes. Now go round the other side and do it all over again.